STATUE OF LIBERTY (USA) (Bay or Brown 2000-Stud 2004). 2 wins at 2, Royal Ascot Coventry S., Gr.3. Sire of 932 rnrs, 567 wnrs, 20 SW, inc. Hay List (MVRC Manikato S., Gr.1), Star Exhibit, Mic Mac, Active Minoru, Spirits Dance, Liberty's Gem, Miss Steele, Kikuno Storm, Dan Baroness, Golden Star, Black Mambazo, Dawn Approach, Miss Liberty, Lucky Liberty, Liberty Leader, Anadolu, Broadway Harmony, Kolokol, Elysees, Tempest Tost, etc. Jami Lady (f. by Spirit of Boom). 2 wins at 1000m, 1200m, A$97,850, in 2018-19, Ipswich TC Book Xmas Party H., 2d BRC Mode S., L, Limoso R2G P.
Bevico Girl. 4 wins. See above. Funky Lady. 4 wins-1 at 2-from 1400m to 1900m, A$85,300, 2d SCTC Gary Crick Auto Group QTIS 2YO P.
Wire To. 5 wins to 1400m in Korea. Let There be Rock. 4 wins at 1200m, 1400m in Aust. Sahyang. 2 wins at 1200m in Korea. Lotseventy. 6 wins to 1400m, A$172,895, BRC B105 Hot 30 H., STC Freeway Republic Beer H., 2d Scone RC Inglis 2YO Challenge, Qld Tatt's RC Carlton Mid H., 3d AJC Sunset Racing H., Sadleir H., ATC Membership on Sale H., Bowermans.com.au H., BRC Jae My Holdings H., STC Members H., Scone RC Northern Meteor H.
Unchain. 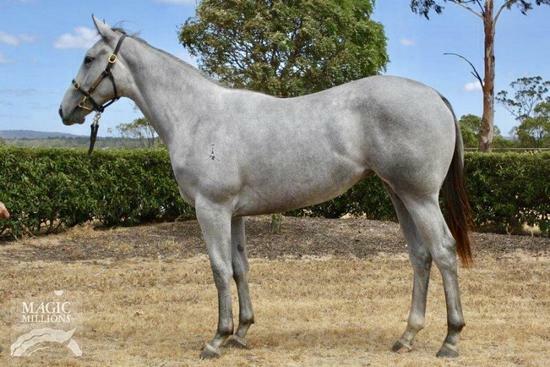 2 wins at 1350m, 1400m, BTC Octagonal H., 2d AJC Jim Lenehan 2YO H., The Grafter H., BTC Statesman H., STC Become a Member H., Silver Saddle Brasserie H., 3d WATC Tristanagh H.
Grey Jest (Rory's Jester). Winner. See above. JOURNEY (Jeune). 3 wins from 2000m to 2100m, A$83,805, WATC Belmont Oaks, L, SAJC Sportingbet H. Producer. VEROSSI (Verglas). 4 wins at 1600m, 1800m, A$159,650, WATC JC Roberts S., L, WA Week Eurythmic H., Lawmaker H., Westspeed 3YO H., 3d WATC Challenge S., L.
LIM'S OBJECTIVE (O'Reilly). Champion 3YO in Singapore/Malaysia in 2007. 8 wins from 1200m to 1800m, S$931,498, Singapore TC 3YO Challenge (1st Leg), L, Raffles Cup, L, 3YO Challenge (3rd Leg), L, Open H., 2d Singapore TC 3YO Challenge (2nd Leg), L.
BRORAMA STAR (Brocco). 13 wins from 1200m to 2400m, A$277,215, TRC Hobart Cup, Gr.3, Purity Ingham Jockey Club Cup, TTC Longford Cup H., VRC Jayco Welter H., TRC Ingham Love'Em H., 2d Mornington Cup, L, 4th TRC Hobart Cup, Gr.3. ZERO DRAMA (Danzero). 7 wins from 1400m to 1800m, A$409,100, Kilmore Cup, L, MVRC Geoff Torney Cup, VATC 125th Anniversary H., VRC Aluminates Chemical Industries H., VATC New Statesman H.